Sen. Elizabeth Warren (D-Mass.) officially announced her bid for president in Lawrence, a working-class city in her home state Massachusetts, on Saturday, Feb. 9. 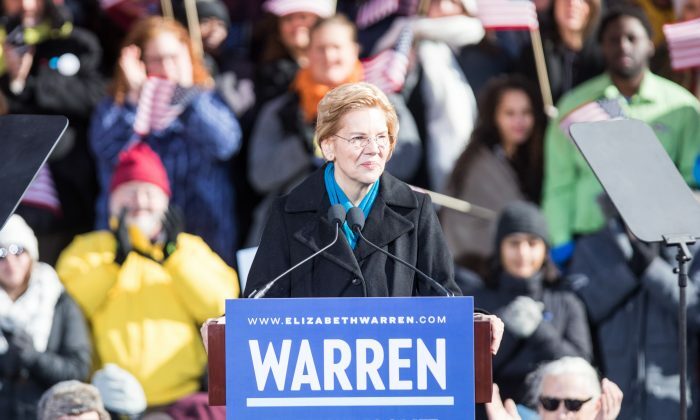 Warren called for a fight against economic inequality and to build “an America that works for everyone” during the rally as she announced her presidential campaign. “This is the fight of our lives. The fight to build an America where dreams are possible, an America that works for everyone. I am in that fight all the way. And that is why I stand here today to declare that I am a candidate for president of the United States of America,” she said. 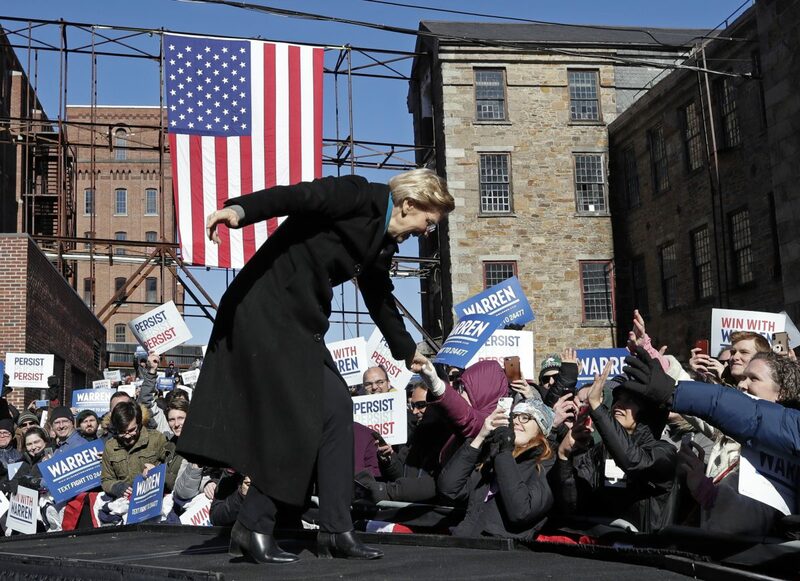 Warren chose the historic Everett Mills to declare her candidacy. In 1912, the 2-month-long Bread and Roses strike happened here when textile workers protested a pay cut. “The textile workers here in Lawrence more than 100 years ago won their fight because they refused to be divided. Today, we gather on those same streets, ready to stand united again,” Warren said. The announcement came more than a month after she formed an exploratory committee. “Every person in America should be able to work hard, play by the same set of rules, and take care of themselves and the people they love,” she stated when she launched the exploratory committee. “I believe in an America of opportunity. My daddy ended up as a janitor, but his little girl got the chance to be a public school teacher, a college professor, a United States Senator,” she wrote on a Twitter post announcing her bid for president. She also spotlighted her push for increased government involvement in child care, college, infrastructure, clean energy, and the Green New Deal. 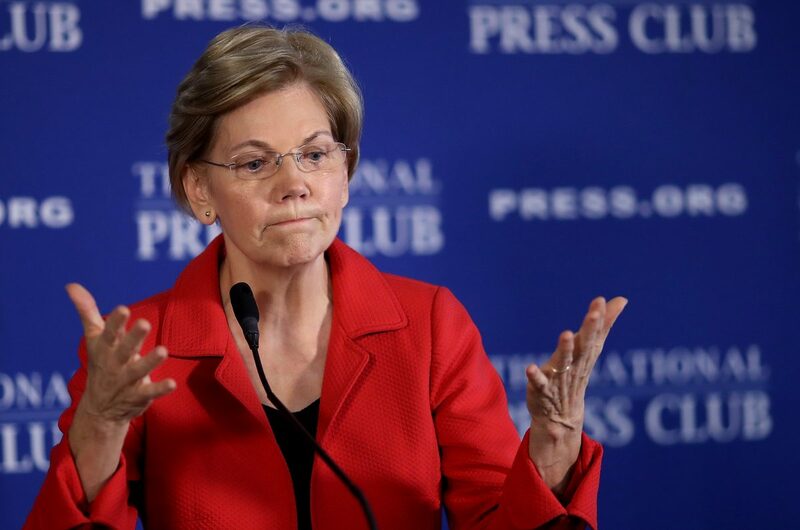 “Elizabeth Warren has already been exposed as a fraud by the Native Americans she impersonated and disrespected to advance her professional career, and the people of Massachusetts she deceived to get elected. The American people will reject her dishonest campaign and socialist ideas like the Green New Deal, that will raise taxes, kill jobs and crush America’s middle-class. Only under President Trump’s leadership will America continue to grow safer, secure and more prosperous,” Parscale stated. The controversy over her claims of Native American ancestry surfaced during her 2012 Senator campaign and reached the peak last year when President Trump, in a string of Oct. 16 posts on Twitter, described Warren as a “phony” and said she only got her job as a law professor at Harvard University because of her heritage claims. Last month, Warren apologized to the Cherokee Nation—the largest federally recognized tribal enterprise in the country—for claiming tribal sovereignty and citizenship. “Senator Warren has reached out to us and has apologized to the tribe,” Cherokee Nation’s executive director of communications Julie Hubbard told The Intercept. The Associated Press and Bowen Xiao from the Epoch Times contributed to this report.